Guests at this resort enjoy exclusive spa services, such as "bath with full body massage," "oil and moisturizing treatments" and "complete facials" - for pigs only, of course. "From the moment they enter, soothing new age bath music and aromatherapy candles set the mood. 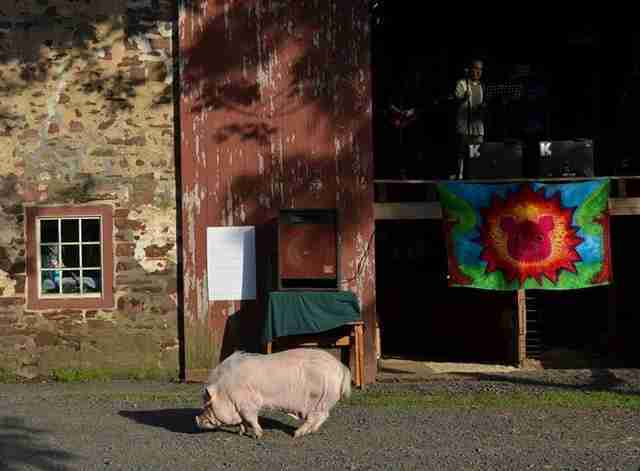 A hydraulic platform lifts them into the arms of our trained Pigtician," says the website for Lula's Piggy Spa at Ross Mill Farm in Pennsylvania. 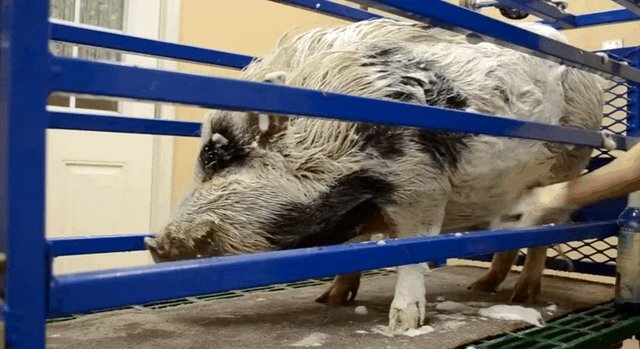 "There is tremendous value in doing the spa to relax the pigs and to make them feel more comfortable," owner (and resident "pigtician") Susan Magidson told The Dodo. Pigs will sigh, relax their muscles and lean into massages - but are less pleased to receive "pedicures." Hoof trims are "a necessity, not a luxury," she clarified. After the spa, pigs get their beauty rest in an air-conditioned 5,000-square-foot lodge situated on 30 acres of prime pig real estate. The majority of Ross Mill's business comes from boarding pet pigs at their facilities. 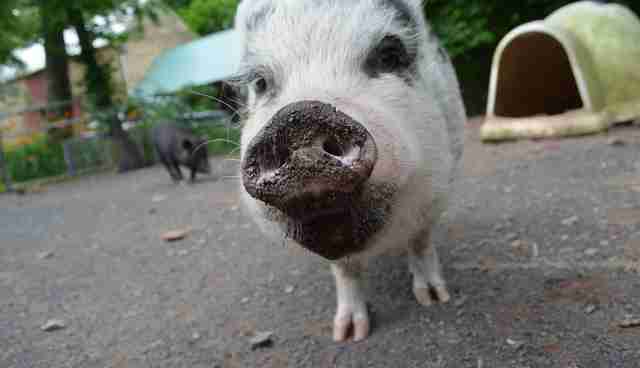 But Magidson isn't just devoted to indulging pigs - she rescues them, too. 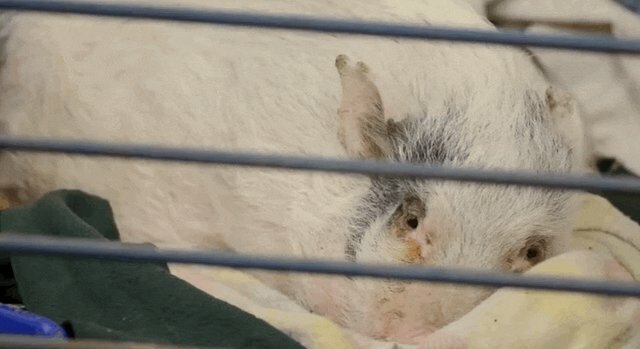 In fact, 100 of the 160 little piggies currently getting some R&R; on Ross Mill are up for adoption through the Pig Placement Network, which helps find homes for abandoned or abused pigs. 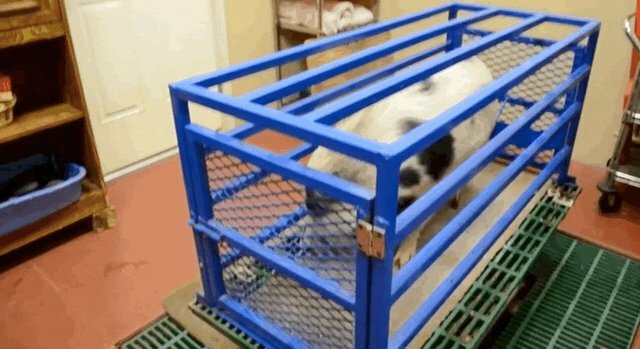 The "teacup" pig trend is a massive problem, Magidson said, leaving countless pigs homeless when they outgrow the advertised promise of an accessory-sized pet - sometimes by hundreds of pounds. 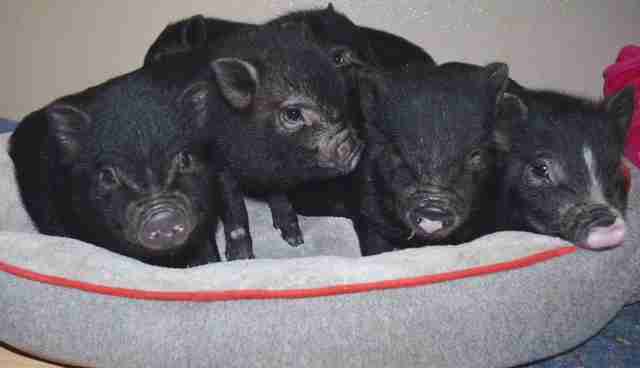 Breeders often claim tiny piglets are much older, or underfeed pigs to stunt their growth. Magidson places about 60 pigs a year. 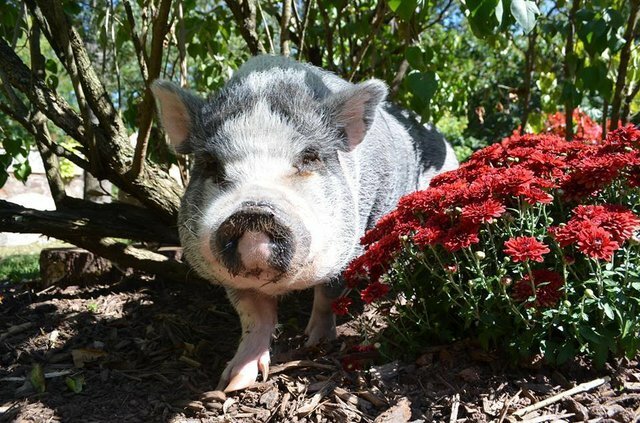 If you'd like to spoil sponsor a pig at Ross Mill Farm while he waits for his forever home, click here.